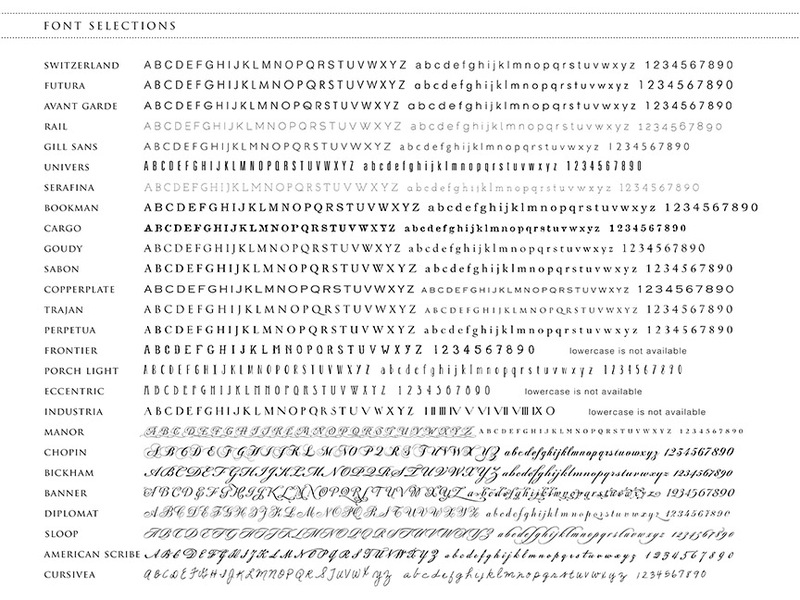 Any font combination from the font list may be chosen for all invitations shown. You can also provide us with your own fonts. Please contact us for further instructions.